Help Debony Salon Find its Next Apprentice! I hope everyone had a great Fourth! I can’t believe July is already here! Hoping you are all finding time to enjoy this short season, or maybe it’s the time of year where you are “making hay while the sun shines”! OK, with the downpour from last week, forget I said sunshine. But, you get it. As many of you know we are a “teaching” salon. This means that we have licensed apprentices through the State of New Hampshire who learn the trade while working. This program has allowed us to train our own staff, and provide schooling and jobs at the same time. It is a wonderful exchange, particularly in this labor environment. Tarmey Ross, who many of you know as one of our Master Stylists at Debony, is going to become an apprentice instructor at Debony. This will be Tarmey’s first student! I just know with her training and background in education, she will be fantastic! Help us spread the word! If you know anyone interested in the beauty industry, send them our way. They can get in touch with me at debony@debonysalon.com. I can give them more infromation there. We will be accepting applications for this 3,000 hour program. It is a wonderful opportunity to work and go to school at the same time. Help us find the next Apprentice! P.S. That’s me working hard for some teammates at the 2017 Longsjo race in Fitchburg a few weeks ago! 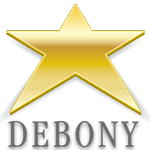 PreviousPrevious post:May NewsletterNextNext post:Are You Debony Salon’s Next Apprentice? !